For David Bruce the appeal was the sense of creating something beautiful and life-enhancing from a circumstance so negative. So the music does not try to evoke Gumboot Dancing as such. Instead the work opens with a quietly evocative and rather movingly melancholy long movement. Introspective and yearning, there is no obvious narrative yet the musicians find a deep meaning in the music. There hints of African musical traditions, for instance in the way Bruce has virtually the same melody played at slightly different times by two instruments at the opening (a technique which reoccurs in the piece in the faster movements). The result though is beautifully evocative rather then being specific. The remaining five short movements are about the same duration in total as the opening movement, these five are all dances. Joyous pieces, each increasingly rumbustious and energetic. 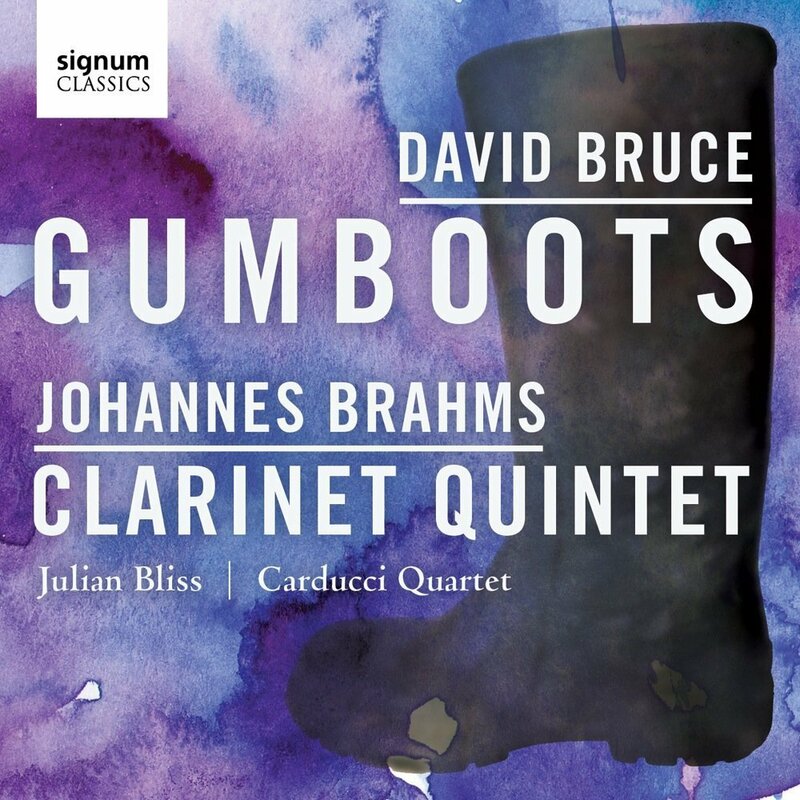 The performers have decided to pair Bruce's work with Brahms' autumnal classical, one of a group of works Brahms wrote inspired by the clarinet playing of Richard Mühlfeld. 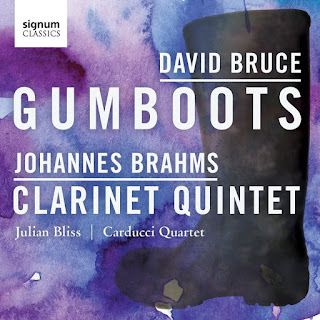 Julian Bliss and the Carducci Quartet perform the Brahms with a lovely combination of lyricism and sense of flow, giving it a relaxed autumnal glow (Brahms was nearly 60 when he wrote it and had given up composing). Bliss's clarinet is not over spotlit and there is a nice give and take between the players. Even the dramatic moments in the first movement have a sense of reflective passion about them. 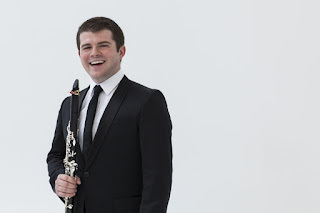 The Adagio is played with a lovely veiled tone; quiet and intense with some rhapsodic clarinet playing, there is a remarkably controlled and sustained intensity to the movement. The Andantino is relaxed and flowing, even the more dramatic middle section. Whilst the final movement, marked Con moto, starts off graceful and not pressured, things do really hot up. The players capture the autumnal elegiac tone of Brahms' work, full of relaxed passion.